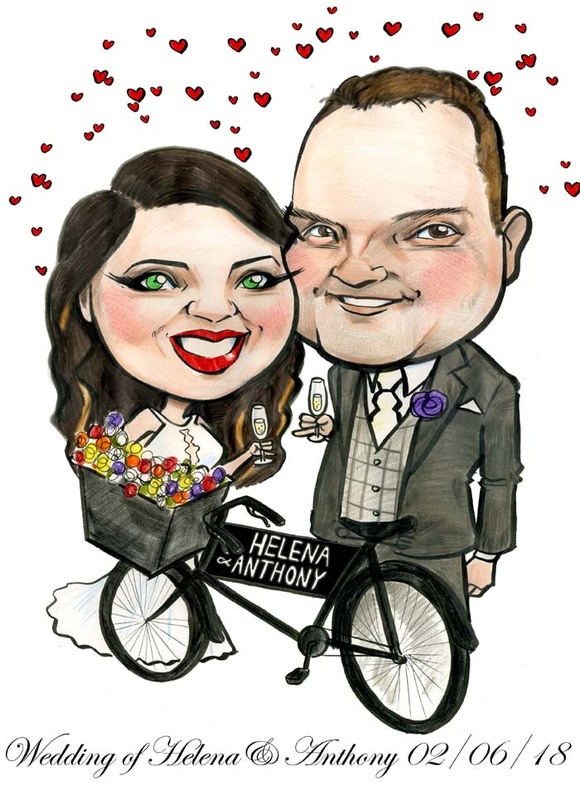 This wedding caricature was for a signing board in the Diamond Coast Hotel in Enniscrone. It features the bicycle that the hotel personalises for its newlywed couples at their wedding reception! Interested in a caricature signing board for your wedding? Click here!